Last week Ms. Barnett dropped her grooviest and homiest little track to date, “Depreston,” the second single off her highly anticipated Sometimes I Sit and Think, and Sometimes I Just Sit. With a guitar tone that sounds borrowed from Mac Demarco’s 2, “Depreston” has Barnett experimenting sonically, and hints that she isn’t going to hold back from treading new ground. “Depreston” features Barnett telling a story about house hunting in some undistinguished suburb chock-full of low crime-rates and cul-de-sacs, just far enough out the city to “feel depressing.” The tune begins with her trying to convince herself that she needs to grow up and settle down as she weighs the advantage of brewing her own coffee versus buying fancy lattes from baristas. But soon she finds herself standing in an open-house, contemplating the implications of death, grief, and regrowth after discovering the fate of the home’s previous owner. Barnett sings “If you’ve got a spare half a million, you could knock it down and start rebuildin’” until her incredibly Australian drawl submerges itself into the oceanic groove. 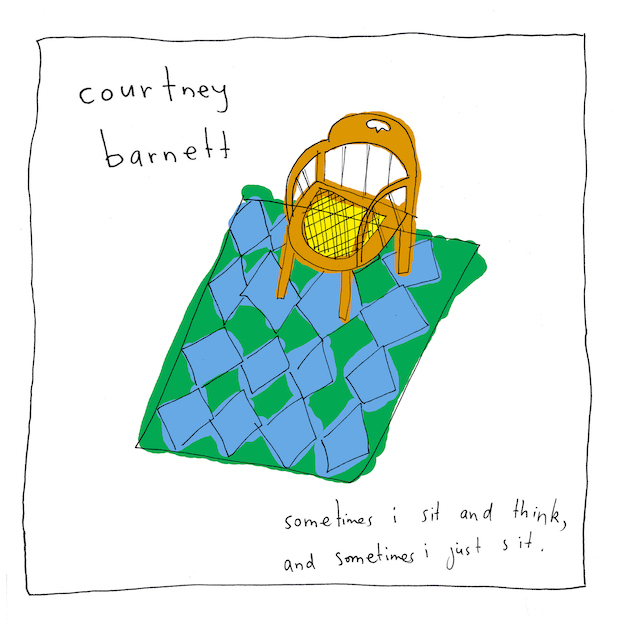 Sometimes I Sit and Think, and Sometimes I Just Sit is due out March 24th on Mom + Pop. Previous Post Years & Years is Electrifying Britain. Next Stop, America.